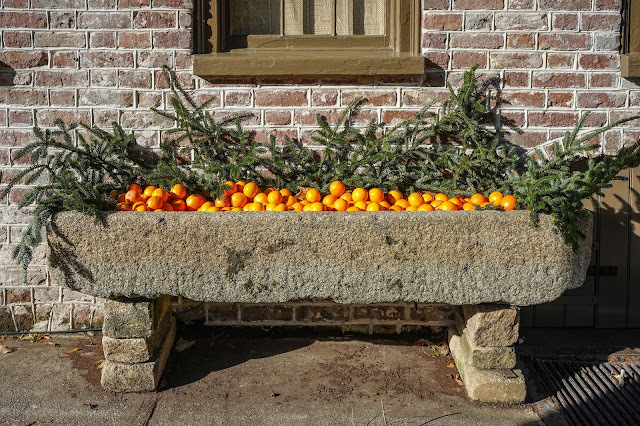 Charleston Daily Photo: Orange you colorful holiday decorations?! 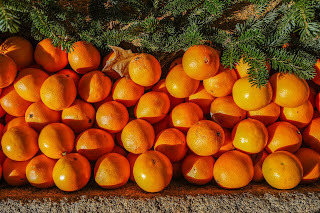 Orange you colorful holiday decorations?! Interesting and eye catching use of oranges as a holiday decoration. I'd rather not be the one who had to clean out the trough after they start to spoil but it is colorful and creative!